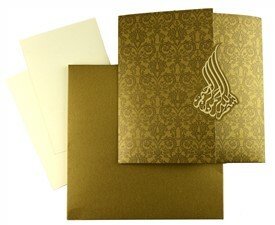 Beautiful symbol “Bismillah- Ir Rehman Ir Rahim” adorns the main card. 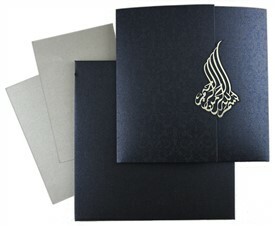 The lase cut symbol means “In the name of Allah- most gracious most compassionate”. 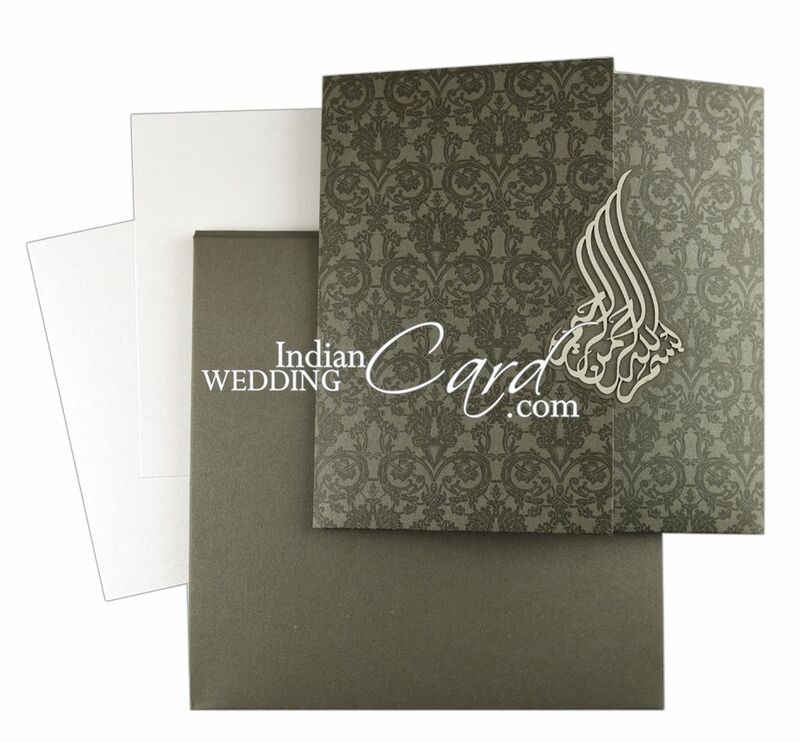 The card has beautiful floral self- print. 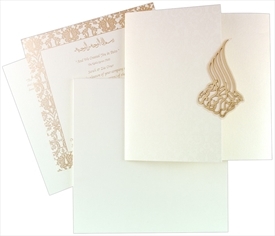 One insert is pasted in center has beauteous white floral border, while other two are simple and kept loosely in the dockets. 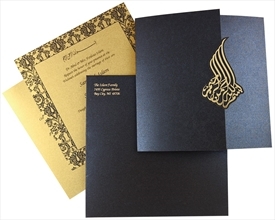 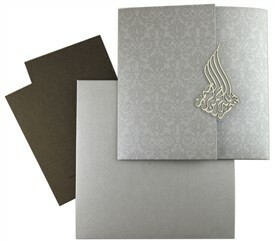 An exotic invitation to make your wedding grand! 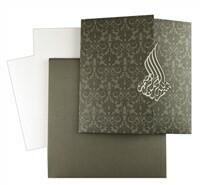 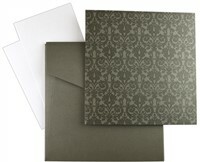 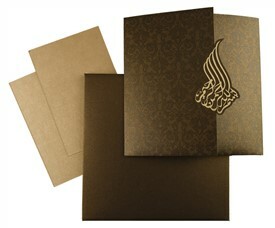 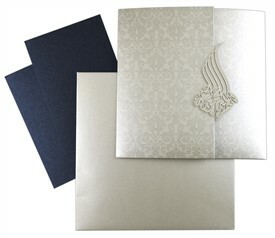 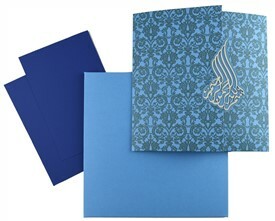 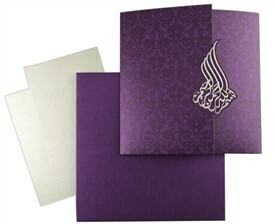 Grey shimmer paper (250 gsm) for main card, 2 pocket bands and mailing box envelope. 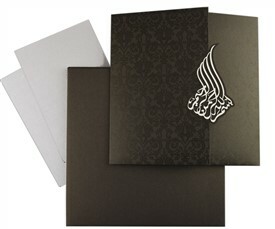 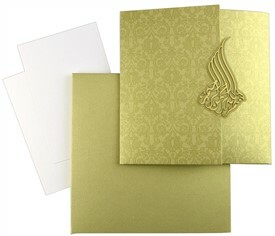 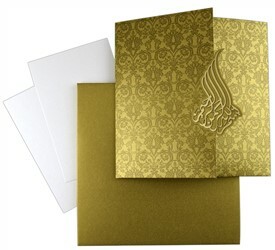 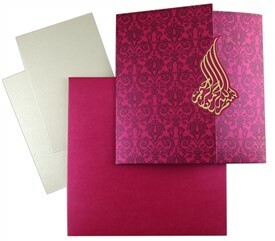 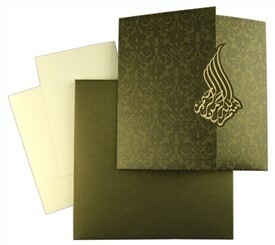 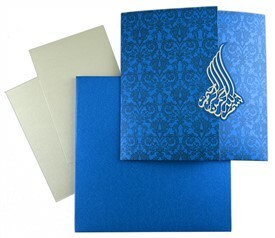 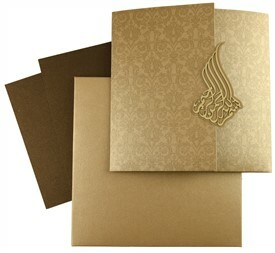 Shimmer white paper (250 gsm) for 3 inserts.